Botox, Xeomin and Dysport are all derived from botulinum toxin and are used to treat dynamic wrinkles, which occur as a result of facial muscle movement, such as frowning or squinting. Common examples of dynamic wrinkles are crow’s feet next to the eyes and frown lines between the eyebrows, also called glabellar lines. 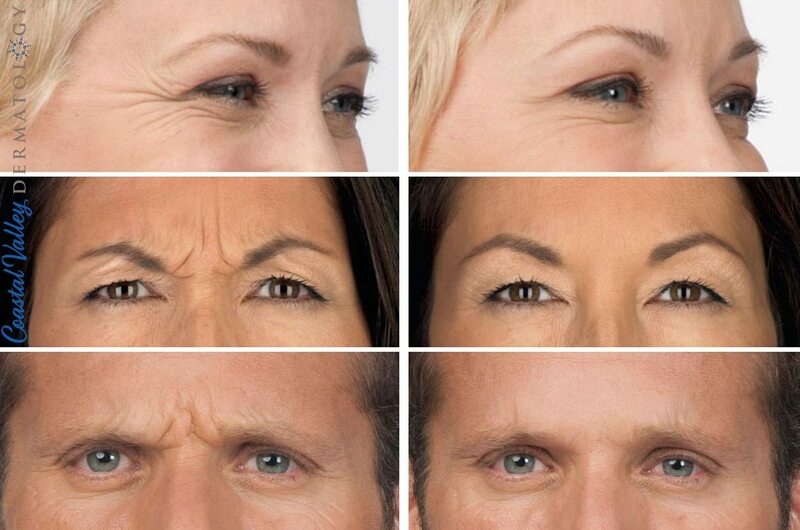 When you frown, scowl, concentrate, or squint, your muscles pull your skin into folds and lines. With age, the elasticity that brings the skin back to its original position decreases and wrinkles form. These expressions are necessary, but with age, they appear to be exaggerated and you may look more worried or upset than you actually are. Each of these injectables work by blocking the transmission of nerve impulses to the underlying facial muscle. Because the muscle cannot contract, the wrinkle relaxes, an effect that lasts for several months. Xeomin is the newest “wrinkle relaxer” available to patients. Xeomin is different from Botox or Dysport because the accessory proteins are removed during the manufacturing process. This may be more advantageous for a few patients due to the lessened likelihood of antibodies being formed to the proteins. Xeomin has been described as the "naked and organic" version of BOTOX! Xeomin is part of the Merz Aesthetics family, the same company that brings you Radiesse dermal filler and Ultherapy ultrasound skin tightening. Dysport is similar to Botox carrying the same primary neuroprotein. The difference between Dysport and Botox is the dosing unit calculation, usually a 3:1 ratio. Some patients have reported that their experience with Dysport are: quicker in effect, lasts longer, and has a “wider spread” which is good for the forehead lines. Dysport is part of the Medicis family, the same company that brings you Restylane dermal injectable products. 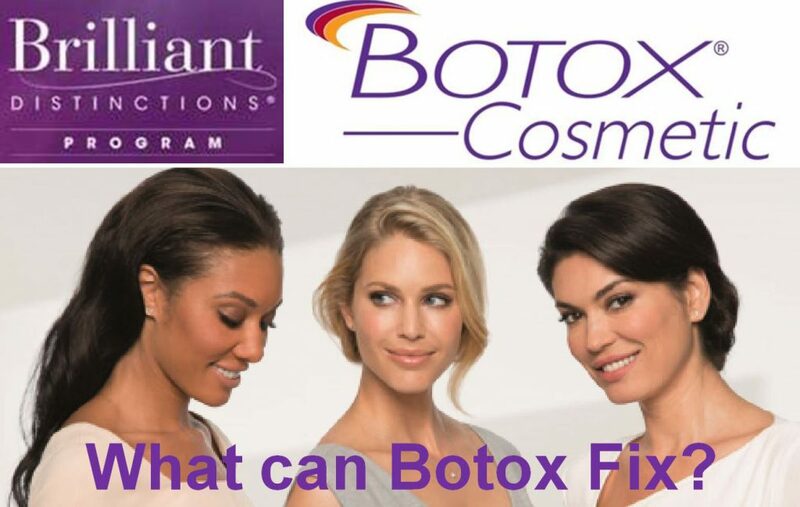 These toxins are highly purified and highly diluted and, in the case of botulinum toxin, millions of injections have been performed effectively and safely since its first use by Dr. Alan Scott in the 1980s for an eye condition called strabismus. Dr. Jean Carruthers, an ophthalmologist, noticed her patients’ wrinkles were reduced after the treatment of strabismus, and the medicine was approved by the FDA in 1989. Dr. Javid has safely and successfully treated thousands of patients with botulinum toxin to achieve a natural, refreshed look, sometimes through what she calls “baby Botox” — her technique to use tiny amounts in strategic muscles to achieve the best effect. 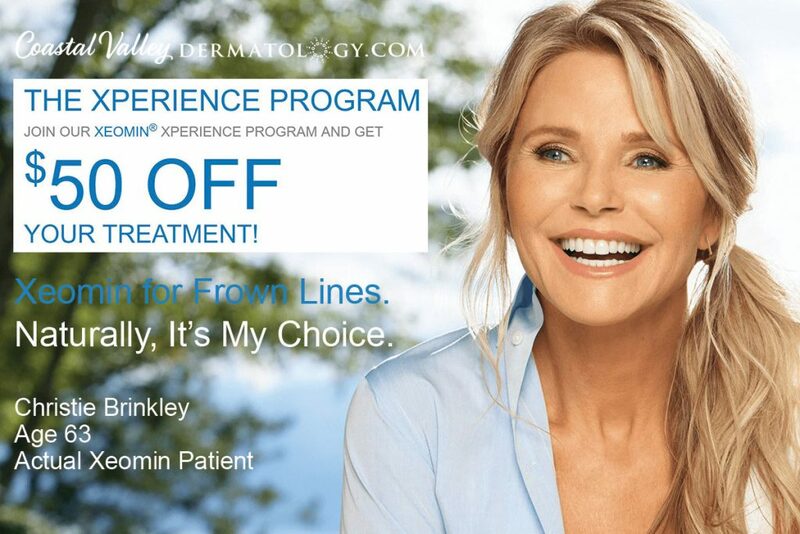 Join the Xperience Program by Merz Aesthetics to receive $50 off your Xeomin® treatment. Our last Happy Hour in our Carmel office on 6/22/2018 before we move to Monterey on 6/25/2018. Xeomin at $12/unit (regular $15/unit). Enroll in Allergan's Brilliant Distinctions Program for points and savings on Botox, Juvederm, and Kybella.